Alice T. Slagle, 93, passed away peacefully Tuesday, November 27, 2018 at Wesleyan Village in Elyria, OH. She was born November 6, 1925 in Warren, and was the daughter of the late Nelson G. and Marie (Butler) Thompson. Alice married the late William P. Slagle on November 28, 1948 in Warren where they lived and raised three children in Warren. She was a graduate Warren Business College, worked as a secretary at ITT Grinnell and eventually retiring from the First United Methodist Church as the financial secretary. Mrs. Slagle was very active in the Warren community and volunteered for the Red Cross, Salvation Army, and Scope doing whatever was needed. She was a member of Eastern Star and the YW Business Women’s Club. 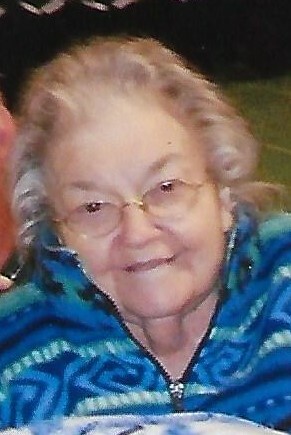 Alice sang in her church choir, was a member of the Warren Civic Music, the Trumbull New Theater, and a member of the First United Methodist Church of Warren. Memories of Alice will be carried on by her son; James (Tammy) Slagle of Fairview Park, OH; daughter; Marie Borell Baker (Glenn) of TX; grandchildren; Joyce Borell, LuRae Wutzke (Justin), James Borell, Beverly Aycock (Michael), and Sarah Jill Slagle; great grandchildren; Amanda Plume, Aliyah Aycock, Kory Hall, Dylan Hofus (Kayla, Michael Lloyd, and Nicole Knott; great-great grandchildren; Jasmine Rose, Jessie Marie, and Nathanial Lloyd. She was preceded in death by her parents, husband, daughter; Jill Marie; and 9 siblings; brothers: Tom, Jack, Kenny, Nelson, William, Sam Thompson; sisters; Hazel Lillicotch, June Siverline, and Fran Evans. The family will receive friends on Monday, December 3, 2018 from 11:00 am to 12:00 noon with the funeral service to follow at 12:00 at McFarland-Barbee Family Funeral Home. The committal service will follow at Crown Hill Cemetery in Vienna. 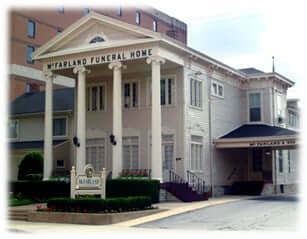 The family suggests that in lieu of flowers contributions be made to the Wesleyan Village Foundation, 807 West Avenue, Elyria, Ohio 44035.